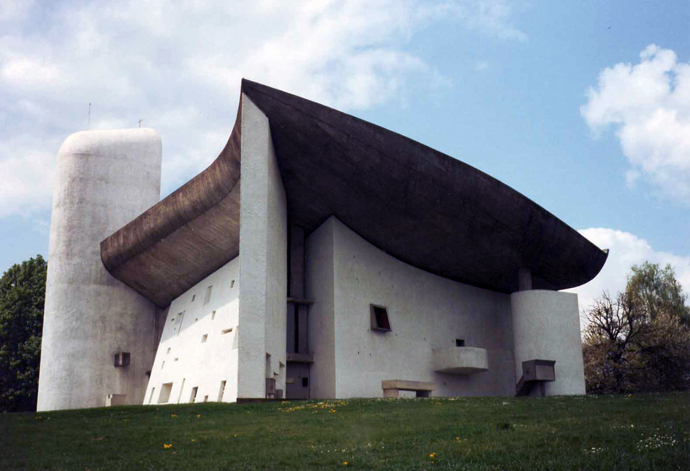 Brutalist design has had a bad name over the years. Clockwork Orange's Brutalist housing commission estate... or the fact that Ian Flemming hated his Brutalist architect neighbor, Erno Goldfinger, so much that he named a James Bond villain after him... or perhaps even the fact that London's The Barbican Centre has been voted its most ugly building hasn't helped this design period. 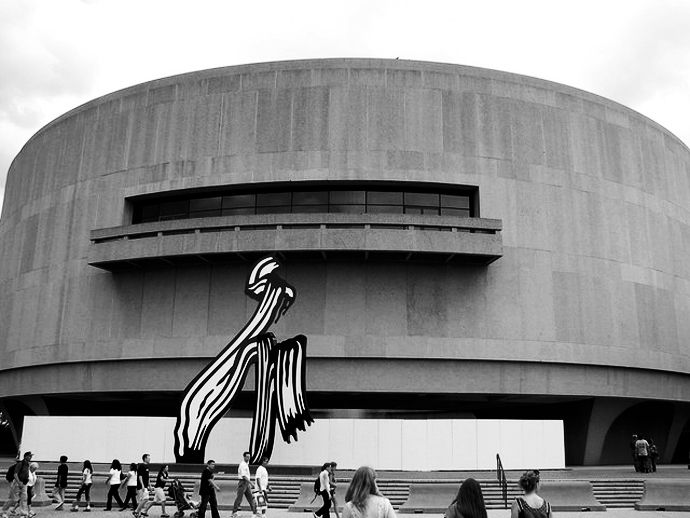 ...or to the more feminine forms displayed in the Smithsonian Hirshhorn Museum in Washington (below). 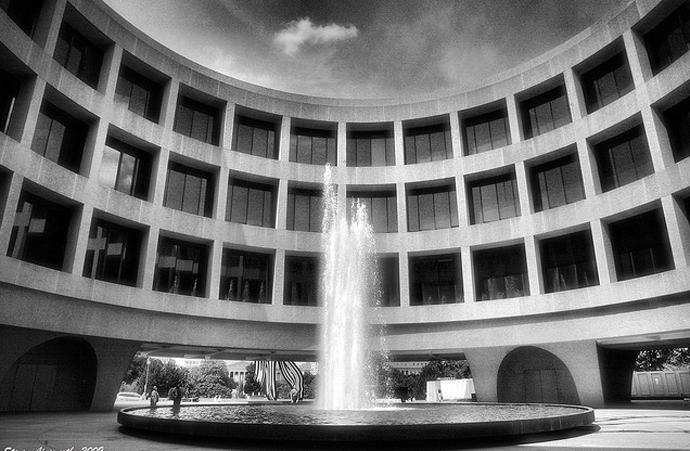 The softness of its rounded shape with one peek-a-boo window, and the femininity of the centrally-located fountain, are just a little proof of Brutalism's cleverness and beauty. I just love it. Over the past years raw concrete has shown its pretty face in many interior design projects. But let's not pat ourselves on the back for being totally cool and edgy. It was way before our time and we can thank some of the design greats for leading the way, yet again..